Boutique hotels account for many of the new developments in Portugal, converted from historic buildings by new entrants to the market. Hilton Groups Curio Collection will debut its first property in Portugal, the Emerald House, in Lisbon. The multi-million-euro renovation will be a 67-room complex with fitness centre, restaurant and bar for guests as well as locals. Hotel operators with a presence in the country are also expanding their footprint  the Wyndham Group is adding to its 11-property portfolio with the 300-room Ramada in Lisbon, and Barceló Hotel Group is following the June grand opening of its first hotel in the country, the 124-room Allegro Madeira, with its first in Lisbon. With their Mediterranean climate, rich histories and fresh seafood, Lisbon and Porto have long been popular with travellers. In recent years, however, awareness of these cities as prime holiday destinations has skyrocketed after they scooped numerous travel accolades, with the country itself winning the top destination spot in the 2018 World Travel Awards. Since 2013, the number of tourists has nearly doubled, increasing tourism revenues by 64 percent between 2013 and 2017, and creating over 50,000 jobs in 2017 alone to become a keystone of the national economy. Last year, the number of international tourists jumped 12 percent to 12.7 million; with domestic tourists, the total is about 21 million. Global hotel groups are attracted by this potential for growth in different areas of the market. For Meliá Hotels International, Portugal is its third-largest European market. Its five-star hotel in Lisbon opened last year, while its fourteenth Portuguese hotel will open in Porto in 2021, with business-friendly features such as creative meeting rooms with writable walls and relaxation areas. Meanwhile, budget boutique brand Yotel is set to open its first Portuguese outpost, also in Porto, as it looks to attract the many millennial travellers to Portugal through its space-efficient, high-tech offerings. Incoming hotel operators are making an impact. Where hoteliers once focused on driving occupancy rates, Simões says, contemporary operators are now focused on increasing their average daily rate per room. This has stabilized occupancy rates, and also enhanced the experience for guests, as operators are undertaking modernization and design renovations that set individual hotels apart, she says. Yet Portugals popularity has its price for hoteliers wanting to join in. 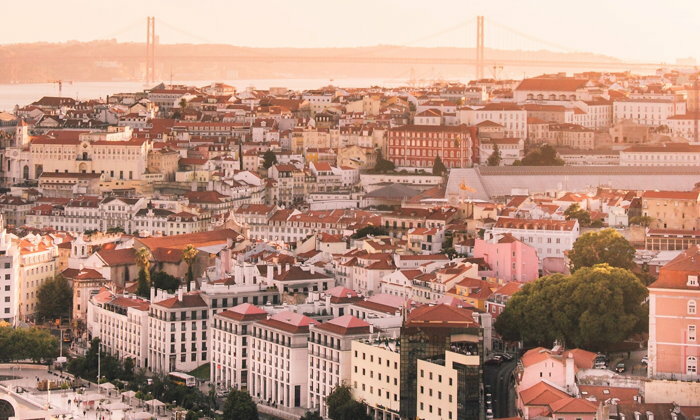 Because the market for room rentals is so good, the premium for developing a hotel in the city is high  and owners want the premium to be even higher, by around 50 to 60 percent, which prevents new players coming to market, says Simões. Space constraints in the sought-after centres of Lisbon and Porto also mean that there is limited opportunity for properties spanning more than 100 guestrooms. Despite these challenges, the hotels boom isnt likely to abate anytime soon. Though visitor numbers are predicted to plateau as Lisbon airport reached maximum capacity last year, a new airport in the pipeline just outside the city could double the number of visitors to 50 million arrivals per year.